NBA analyst Raja Bell recaps the Rockets' series win over the Jazz, projects how far he thinks they can go. NBA analyst Raja Bell breaks down the Clippers' Game 5 win over the Warriors, discuss what Golden State needs to do to close it out. Who's In Better Shape: Warriors or Rockets? NBA analyst Raja Bell breaks down which team is in better shape in these playoffs moving forward between the Warriors and Rockets. Danny Kanell and Raja Bell discuss the Clippers' victory over the Warriors in Game 5 of the First Round. NBA analyst Raja Bell breaks down the fallout from the Damian Lillard game-winner from all angles. NBA analyst Raja Bell breaks down how the Thunder can try and improve their roster this offseason. Danny Kanell and Raja Bell discuss Damian Lillard's game-winning shot and the Blazers' series victory over the Thunder. Danny Kanell and Raja Bell discuss Russell Westbrook and the Thunder's loss to the Blazers in the First Round. Danny Kanell and Raja Bell discuss the 76ers' victory over the Nets in the First Round. Danny Kanell and Raja Bell discuss the Raptors' victory over the Magic in the First Round. Kanell and Bell: How can the Celtics contain Giannis? Danny Kanell and Raja Bell break down ways that the Celtics can contain Giannis Antetokounmpo. Danny Kanell and Raja Bell discuss the Suns' firing of Igor Kokoskov after just one season. What was Houston's biggest weakness in Game 4? Danny Kanell and Raja Bell discuss the Blazers' victory over the Thunder in Game 2. Danny Kanell and Raja Bell discuss the ongoing rivalry between Damian Lillard and Russell Westbrook. Danny Kanell and Raja Bell discuss the Raptors' victory over the Magic in Game 2. Danny Kanell and Raja Bell discuss the Nuggets' victory over the Spurs in Game 2. Danny Kanell and Raja Bell discuss DeMarcus Cousins' injury and what it means for the Warriors. Kanell and Bell: Should Jeanie Buss have trust in Rob Pelinka? Danny Kanell and Raja Bell discuss whether or not Jeanie Buss should trust Rob Pelinka as well as what a new coach means for LeBron. All-Star DeMarcus Cousins has been diagnosed with a torn left quad. Danny Kanell and Raja Bell discuss the Clippers' epic comeback against the Warriors. Danny Kanell and Raja Bell discuss Embiid's flagrant foul and the repercussions that could follow. Danny Kanell and Raja Bell discuss Zion and his decision to declare for the NBA Draft. 2019 NBA Mock Draft: Ja Morant Over RJ Barrett At No. 2? Kanell and Bell: Should the Sixers be concerned with Ben Simmons' performance? Danny Kanell and Raja Bell discuss whether or not the Sixers should be concerned by Ben Simmons' playoff performance. Danny Kanell and Raja Bell break down Kyle Lowry's poor performance against the Magic in Game 1. Highlights from Game 1 between the Thunder and Trail Blazers on Sunday, April 14th. Are Nets impressive enough to beat the 76ers? Can Warriors win the Western Conference? Brooklyn Nets forward Jared Dudley joins Erik Kuselias to give his bold prediction for the 2019 NBA Playoffs. Thunder forward Paul George joins Hakem Dermish to discuss Russell Westbrook's historic 20-20-20 performance, a potential first round playoff matchup with the Warriors, and Old Spice's new Fresher Collection. Nuggets Still Biggest Threat To Warriors In West? Off the Bench: What are the chances LeBron plays in the 2020 Olympics? On Off the Bench with Kanell and Bell, Danny and Raja discuss the chances LeBron James plays in the 2020 Olympics. On Off the Bench with Kanell and Bell, Danny and Raja discuss the Lakers decision to shut down LeBron James. On Off the Bench with Kanell and Bell, Danny and Raja discuss Magic Johnson's decision making and how he can put the Lakers in a better position to win in the future. 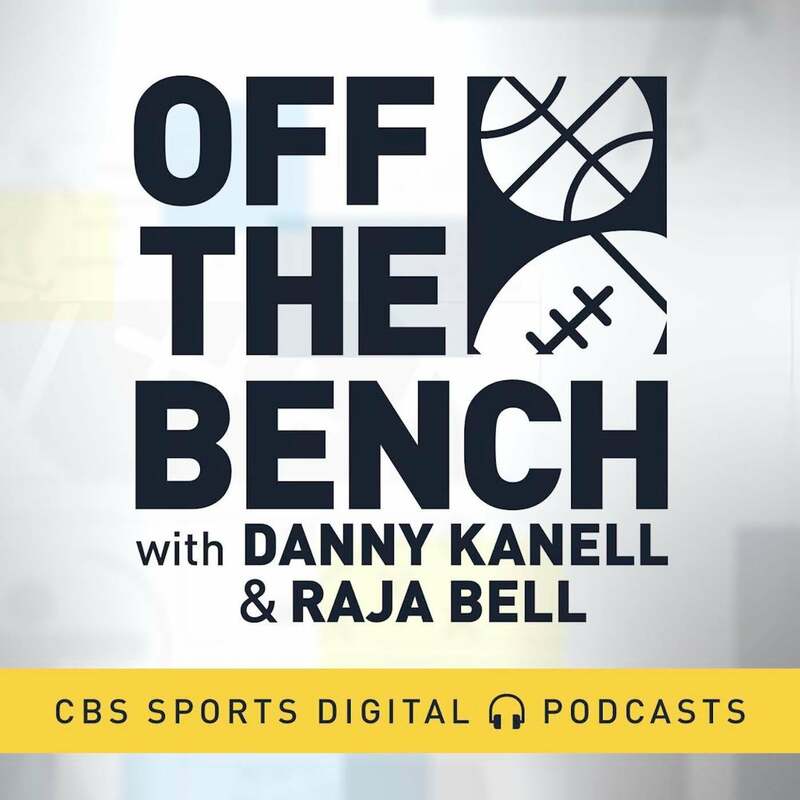 On Off the Bench with Kanell and Bell, Danny and Raja discuss the referee fiasco during the Warriors-Timberwolves game. NBA analyst Rip Hamilton breaks down the NBA player comparisons for the top draft prospects. Chris Hassel previews this weekend's NBA matchups. Tim Doyle previews the Heat-Bucks matchup. 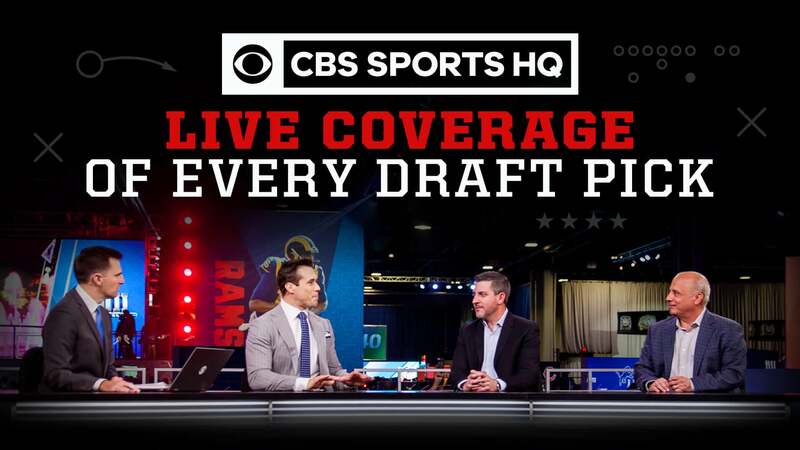 NBA analyst Reid Forgrave breaks down the NBA player comparisons for the top draft prospects. Rip Hamilton previews tonight's matchup between the Celtics and Sixers. Rip Hamilton previews tonight's matchup between the Mavericks and Trail Blazers. Rip Hamilton previews tonight's matchup between the Raptors and Thunder. CBS Sports NBA writer Reid Forgrave breaks down the the tight race in the NBA for the No. 3-seed in the Eastern and Western Conference, presented by Experian. NBA analyst Raja Bell breaks down the Lakers' slim chances to make the playoffs. Reid Forgrave joins Erik Kuselias to discuss teams that are getting hot at the right time and cold at the wrong time in the NBA, presented by Coors Light.